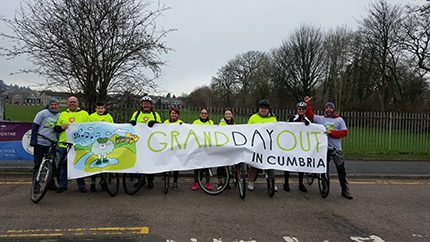 Members of the team at Preston-based Ribble Fuel Oils took to their bikes for a Grand Day Out in Cumbria. “The event, which took place on 16th January, was organised to raise money for the many people who were victims of the December floods,” said David Hodge. Ribble was delighted to make its contribution to this special fundraising event which raised a total of £20,450. Fuel Oil News was pleased to hear that the depots of Ribble Fuel Oils had not been affected by flooding.